So, I have this thing about honesty. It’s a rule and a burden. Yet it’s also a freedom, if you can understand why. One that keeps us in bed with the truth and one that’s behind anything I put into the public domain. I also have this thing about framing techniques. 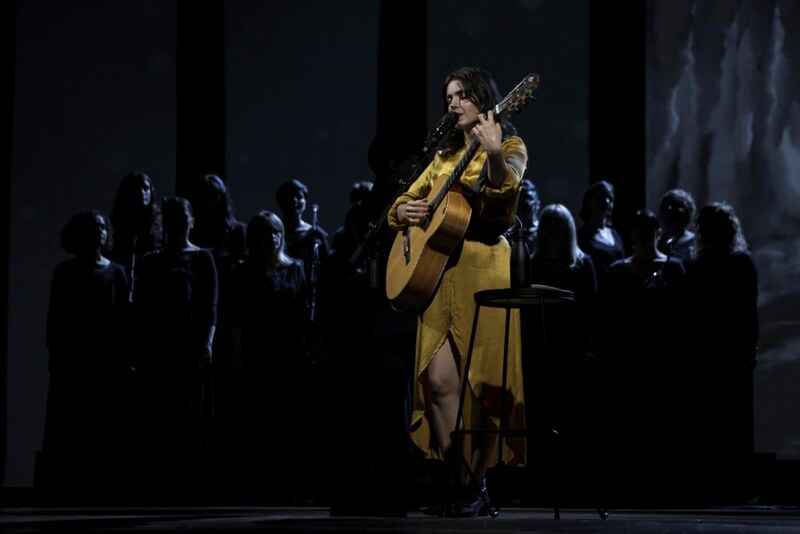 Katie Melua is in Birmingham tonight, stopping of on her European tour to play to a sold out Symphony Hall crowd (no mean feat) with a set that promises tracks from her latest album, In Winter – joined live on stage by the Gori Women’s Choir, who were a home grown backbone to her 2016 release. That in itself carries a high expectation; the Gori Women’s Choir’s three albums are all quite powerful collections (thank you Spotify) and tonight’s marriage of a strong vocal ensemble with an acoustic lead are a tempting hook to this little fish. But my interest has been further piqued by the lack of a Mike Batt signature anywhere on the paperwork. 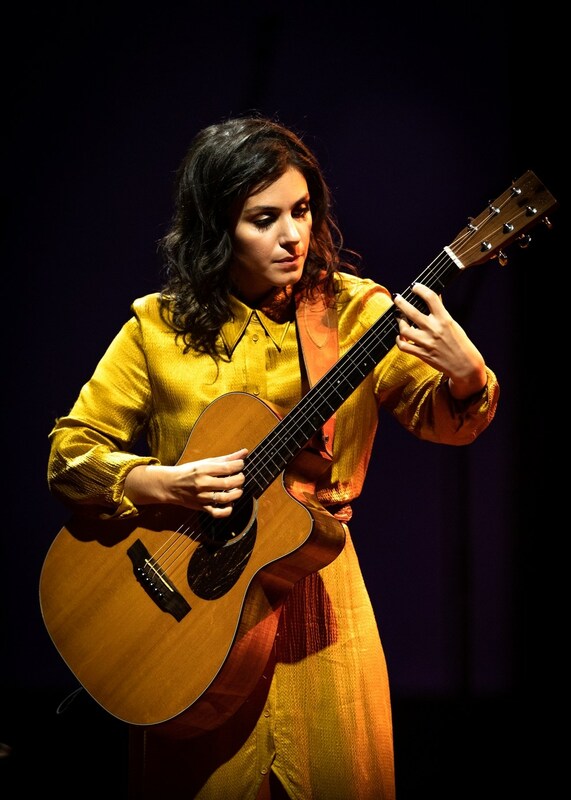 Locked into an arguably suffocating six album deal whilst still in her late teens, I’m curious to see a Melua set without Orinoco waiting in the wings – although I suspect there will still be a few laments about to two wheeled statistics and borderline personality disorders. As we file slowly, languidly, into the hall, the stage is set simply for Melua and her band. Large screen backdrops host a medley of soft illustrations, pastels, and swirling patterns of light against water – eight mics, for the sixteen extra mouths that will fall in and out across the evening, stand ready and waiting stage right. We are poised for a dimple yet elegant display. Melua’s opening number is sung solo (in what I assume to be as Georgian) and begins the evening with something seemingly untouchable, yet once embraced – as music can allow you to close your eyes and accept without shame, query or question – quite beautiful. Her immediate follow up, ‘Plane Song’, brings in her younger brother on guitar accompaniment – layering a subtle red brick onto the Cyrillic foundations. And by the time we are halfway through ‘Nine Million Bicycles’, I am yearning for the return of a language that I don’t understand. 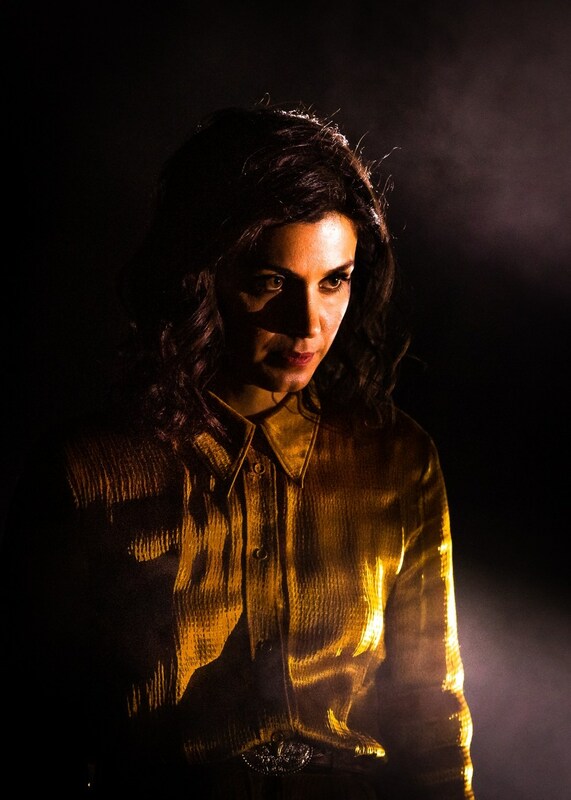 Melua, even from this immediate dissection, offers a much firmer delivery when her performance is less obvious. To a solely English speaker, at least. “I’m going to make a lot of money and quit this crazy scene”. Katie Melua is a widely respected artist, with both a strong international fan base and public appearance track record. She has travelled the world and the world has travelled behind her. But I have not, with tonight being my first encounter of seeing this artist on stage. And when I’m watching a seasoned performer, walk with well rehearsed blocking around a stage set designed for a cause, planting every note with the precision of a LAMDA exam distinction, I clap with only half of my heart. No matter how surprising or wonderful the occasion has turned out to be. But here, echoing the words of a woman who will always be remembered for brave intent and anti-establishment honesty, I want to stand in ovation and solidarity. Bill Hicks wanted his rock stars dead, and I’m not Bill Hicks (and Katie Melua is not a ‘rock star’) but the request is the same. And when it is answered, in whatever language, with whatever accompaniment, the more visceral response is quite a spectacle. I wasn’t sure how much of this evening I’d enjoy, it had been a long day in a longer week, and when the Gori Women’s Choir sang I simply acquiesced and stopped thinking. But Katie Melua is a much more impressive artist than I had I walked into this room believing, and with all the set’s manicures, pop infused covers, and platinum achieving polish, the most glorious of moments were the ones from an older heart. I surmise, as such: discernible talent deserves the rawest and most truthful of edges, for else what are we but obligation or ego? So let go. More. Scream if you have to, with a yawp or elocution. But give this world what you want it to see and trust in this, anyone who challenges a truthful intent is simply not worth appeasing. What’s left is heartfelt and an honest delight.